Owning a website or blog is no piece of cake. You need to carry out many tricks and continuously adapt to the ever-changing marketing trends to keep the flow of traffic smooth. You cannot sit back and relax waiting for things to happen itself. You need to put in a lot of effort to see things take a positive turn. Driving traffic to you website requires one to cross many obstacles and find the best solution that brings visitors to your website. There are a few simple tricks that teach us how to make website popular with traffic generation methods. 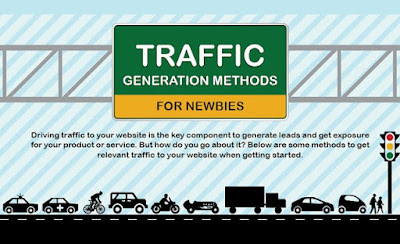 Let us go through these simple traffic generation methods to improve your website traffic and rankings. Every business, marketer, blogger, anyone and everyone now has a website. This means the competition is really high if you wish to catch the eye of the reader. Whether you are selling products, offering services or maintaining a creative blog, you need to be smarter than the others to sell your website. The following tips will help you use your website the right way, generate traffic and earn you profits. LSI is the latest buzz word in SEO. LSI or long-tail keywords are very useful in optimization of your website. They give you the best results and allow users some solid lead to visit your website. They are just like you primary keywords. However, do not fit them in any sentences just like your primary keywords. Use them wisely and spread them around evenly to help the search engines direct users to your website. An example of a long-tail keyword: Professional Cat Care – Cat Grooming. If you own a business website, then the best thing to do is open a Facebook, Google+, or Instagram page. You could even Tweet on Twitter using your business and generate leads to your main website. Your followers on these social media pages will definitely reach your main website and help you generate traffic as well as sell more. You could add a forum page to your website or become a part of an active forum group. You should find active forum related to your niche and answer to topics with the most amount of activity. Make sure your answers are quality answers with complete information. Leave a link to your blog, profile, or website at the end of your answer. Social bookmarking is a smart way to bring in free traffic to your page. Use websites such as Delicious, Digg, etc. to share your products, services, blogs with as many people as possible. Keep sharing the social bookmarking tool of your social media pages and get more and more referrals to your website. About 8 out of 10 people read just the headline of an ad and never bother about the rest of the ad. Thus, make your headlines worth a second glance and grab the eyeballs of the audience. Your ads may feature on platform, Facebook, Twitter, Instagram, Google+, LinkedIn, or appear as a pay per click. The secret traffic generation method is to create an impactful ad headline. One of the best marketing strategies is to make your product, service, or blog viral. You need to spread your message or business throughout the web world like a wildfire. Choose your viral messages wisely so that they create an awareness related to your brand. You could try funny videos, DIY tutorials, interesting animation clips or interesting blogs that compiles people to share it with their friends. Soon, your strategy becomes viral and starts translating into traffic which in turn keeps your cash registers ringing. 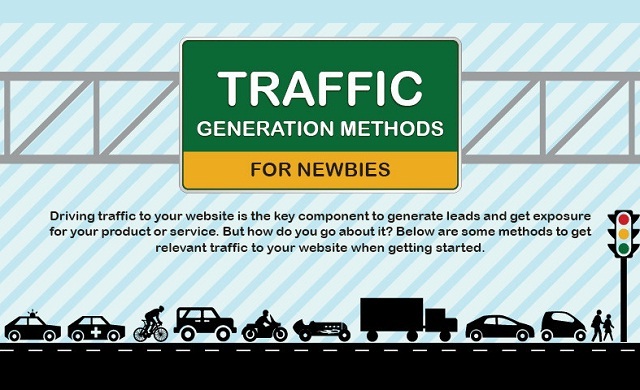 This is how to make websites popular with traffic generation methods. Give these tricks a try and jam your website with audiences, customers, as well as commenters.